It is a truth universally acknowledged that half the fun of buying books is in the browsing. Every bookworm will attest to the excitement that arises from exploring the aisles of your favourite bookshop, discovering new authors at every turn. Stacks upon stacks just brimming with possibility. The sense that somewhere within these shelves is the perfect read. Anticipation mounting as you flip through pages hoping to stumble across your next favourite character. It is this thrill that makes me partial to independent bookstores. Places that have atmosphere and personality, that mirror the worlds they house between their walls. One such treasure is Earthcare Books. Hidden in plain sight behind Drive Inn Cafe at 10 Middleton Street, this bookstore has a unique vibe that sets it apart. The decor itself makes this shop a treat to browse in. A slightly ramshackle entrance dotted with potted plants and a precariously placed wobbly sign guides you to slatted wooden doors handpainted with a tree motif. These are thrown open to reveal red oxide floors and a shop that could belong to Bilbo Baggins. And its uniqueness doesn’t end there. The entire collection of books is carefully curated. Apart from a few of the regular favourites you will find books here that you are unlikely to find anywhere else. To the left as you enter is their non-fiction section, mostly packed with books pertaining to history, politics and activism. Then comes a whole section dedicated to philosophy. This features some great ‘short introductions’ to famous philosophers, so if you’re at the onset of an existential crisis but feel like the heavy original texts might only add to your existential dread, this is perfect for you. They have a large variety of children’s books including Tara Books and Little Latitudes, among others. My personal favourites, displayed right at the back of the shop, are the beautifully designed vintage hardbacks by Peter Pauper Press. Take your pick from among collections of poetry such as My Last Duchess and Other Poems by Robert Browning (published in 1969) or a collection of Japanese Haiku (published in 1960). A great option if you’re looking to buy a rare gift for someone special. Not the least part of their appeal is how incredibly easy they are on the pocket (INR 99 a pop). In addition to these treasures, Earthcare is a publisher and distributor of books on environmental issues and sustainable development. If you are seeking more information on natural resources, ecological agriculture, Indigenous and other appropriate technologies, non-formal education, natural health or alternative lifestyles and world views, this is a great place to start. The people behind Earthcare are actively involved in a collective venture of forest regeneration and organic farming that is now about twenty years old. Deeply committed to the cause, they have published a wealth of information over the years. 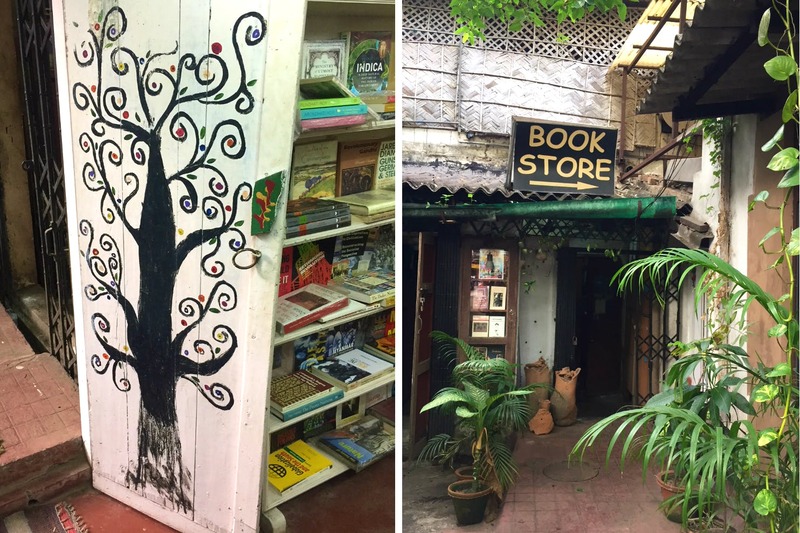 For all these distinctive reads and for the experience of browsing in the quirkiest book nook in Calcutta I would urge you to visit Earthcare Books sooner rather than later. And if for any reason you are not able to physically make it to the store you can get your virtual fix here. Happy browsing!